These six pages take you full circle, from the beginning to the end and back to the beginning that is now. 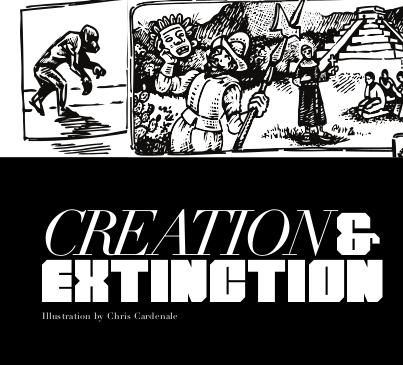 Starting with our creation story, the big bang, and the formation of the cosmos, we witness the evolution of life on earth. Humanity emerges into creation as part of this whole. For the majority of our existence as humans we have lived in fundamental unity with nature. Only recently do we witness the rise of patriarchy, surplus, class societies, cities, mercantilism, capitalism, and our present ecological crisis. 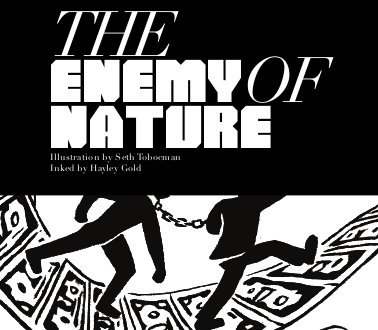 This chapter is based on the book “The Enemy of Nature: The End of Capitalism or the End of the World?” by Joel Kovel. 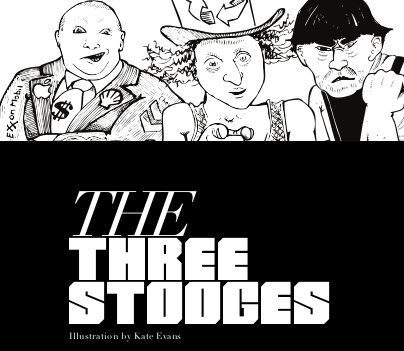 The story of the rise of patriarchy, class society, and capitalism is told again, now with more historical and analytical detail. Ecosocialist Horizons is an organization that formed in the time between the Arab uprisings and the Occupy Wall Street movement in 2011. Based in New York City, it aims to build partnerships with the ecosocialist movements that are largest in the global South. 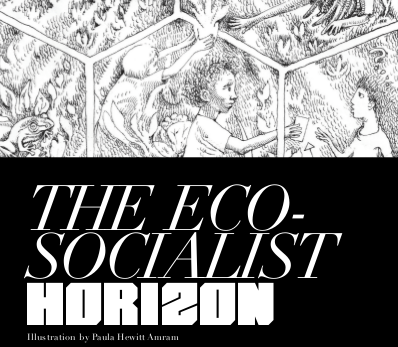 But the ecosocialist horizon is much more than an organization – it is a vision of convergence, of a movement of movements, returning to ancient roots even as it soars toward unprecedented futures. 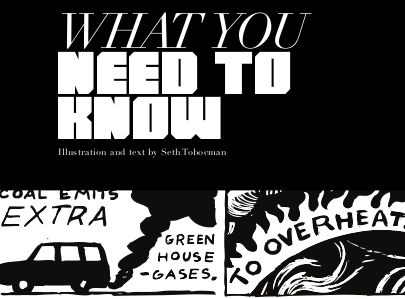 What you need to know about climate change, in two pages. If you are looking for ways to get involved, this is the chapter for you! 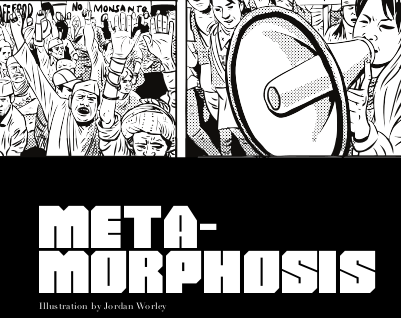 The metamorphosis is where it all comes together: the beautiful, delicate and dangerous ecstasy of transformation. It is a perfect storm of mass struggle and prefiguration: People fighting and struggling for justice and dignity, and also at the same time creating, growing, nurturing, and bringing into being the new world in our hearts. This is the greatest challenge humanity has ever faced. But tens of thousands of years of ancestors are behind us and with us. Fear and ignorance are on the side of extinction; of submission, and of despair. History and the cosmos are on the side of evolution; of dreams and of destiny. This is it! The crescendo, and the moment we have been waiting for: Not the end, but the beginning! All of the world's profound spiritual and revolutionary traditions converge for the preservation of life and beauty, in a world and time in which both are threatened. Truth and Dare is not just a comic book but a teaching tool, including ten pages of resources and references for all ages and interests. Strictly speaking this is not just a curriculum, but something more. This is a swiss-army book, a tool for everyone and for every occasion. A conventional curriculum, which must be designed for a specific learning environment, would limit the use to which this book could be put. Instead we have tried to provide the foundation for the construction of many curricula – as many as possible! We strongly believe that you don't need a diploma of higher education to be highly educated. 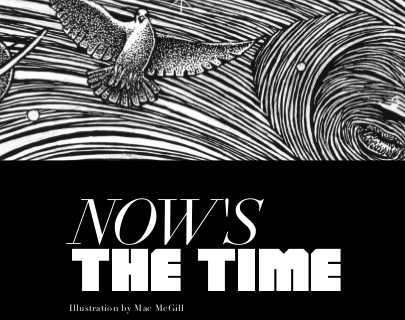 We imagine this book in all settings and with all age groups, from elementary schools through universities; and outside the classroom, in homes, workplaces, grassroots organizations and beyond. To this end, we include scholarly books and children's books, textbooks and novels, cartoons and articles, documentaries and feature films. It aspires to be engaging and compelling for everyone from veterans to rookies.